Distributing your music in the digital world ought to be easy, right? After all, in the old days, independent bands who managed to scrape enough funds together to turn their demo into a record and pay for a small run of pressings, also usually had to deliver them themselves to local record stores. With the rise of the almighty mp3 format, such things are a thing of the past. But how do you get your recordings discovered on the internet? Well, the likes of CD Baby and TuneCore offer services which help bands to get their sounds out there. Not only do they help your band by effectively creating an e-store for downloads, but they also get your music into the world of streaming. TuneCore, for example, will allow users of iTunes, Amazon Music, Spotify and Google Play to stream your songs. It will also allow them to be downloaded, if you want. Given that TuneCore alone generated some £23 million of revenue for artists signed up to its services in the first quarter of 2015, you might be thinking that you are ready to sign up already. However, it is worth looking a little more closely at some of the fine print before signing on the dotted line. Where Did TuneCore Spring From? You may have only just heard of it, but TuneCore has been around since 2006. Like its major competitor, CD Baby, the company is designed for the internet. Founded by Jeff Price, Peter Wells, and Gary Burke, TuneCore was originally designed to allow all artists to be able to “get their music sold around the globe and out to the public without having to have a label deal.” Another part of the vision was to provide musicians with a digital platform for their music which would mean that they would not have to sign away their intellectual property rights or be required to hand over a large proportion of the sales revenue their songs generate. According to TuneCore, artists using their platform have earned a collective £347 million since it began. This is both from direct download sales and streams which between them number 15.2 billion. In short, TuneCore’s essential offering is for anyone who makes and records professional level recordings but who wants an alternative to a record label. This might be an established artist who wants to keep more of the revenue they generate for themselves or it could be a start up band who simply wants to make the cost of their studio sessions back. TuneCore has worked successfully with household names, such as Beck, Jay-Z, Aretha Franklin, Keith Richards and Fleetwood Mac, for example. Nevertheless, some of the company’s more outstanding results have been seen with artists who are lesser-known. According to TuneCore’s CEO, Scott Ackerman, Ron Pope has been distributing his music through the platform since 2008 following his departure from a conventional record label. Pope makes use of all of the TuneCore offerings, including their unique sales trend reporting which allows artists to locate where their music is most popular and plan other marketing promotions and tours accordingly. According to TuneCore, Pope has generated revenue of over £190,000 through the platform from Spotify streaming alone. TuneCore’s offering is different to that of CD Baby, although at first glance it can be difficult to see where the contrasts are. One of the major points of departure is with physical sales. CD Baby, as the name implies, is a service that caters for CD sales and also offers artists with a digital market presence. 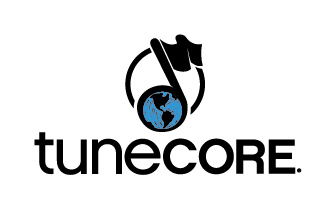 TuneCore is for publishing, downloading and internet streaming only. Most of TuneCore’s pricing is based upon annual subscriptions and these can rise after the first year. CD Baby is more expensive at start up, but there are no onward annual fees to consider. Nonetheless, an important monetary consideration between the two rivals is that CD Baby, like a conventional record company, take a commission on digital sales. With TuneCore, there is none. In other words, after the annual subscription, artists keep the lot. TuneCore offers artists access to no less than 150 digital music partners. Some you will have heard of, such as as Spotify and Google Play, because these are global brands. However, in some parts of the world, local streaming radio and other download sites are popular, so TuneCore keeps adding them to its service, improving the access to the international market that artists and bands can enjoy. For example in the first three months of 2015, TuneCore added Play.me, in Italy, and Zvooq, a Russian-based service which is also available in many nearby countries, to its roster. It is noteworthy that growth in music consumption in international markets is helping to drive much of the income that independent musicians can expect. Without touring overseas, accessing international markets through the internet may be one of the few ways of making money from a global audience keen to listen to your music. Emerging markets around the world include Chile, Guatemala, Hong Kong and Turkey. These countries alone have seen digital music revenue grow by 134 per cent, 70 per cent, 68 per cent and 180 per cent respectively. Signing up for TuneCore is simple and it only takes a few minutes to register an entire album. For artists who are looking for a digital sales and a streaming platform, it can be very tempting. However, as soon as you consider its publishing services, which again come with an annual fee but have no limit on compositions, the whole package looks very attractive indeed. Another option definitely worth considering is Spinnup. As well as helping you to distribute your music, they offer an extra incentive which is a team of scouts who will listen to the music published and give you feedback. They have links to A&R teams, and did we mention that they’re owned by Universal Music? Check them out at https://spinnup.com.